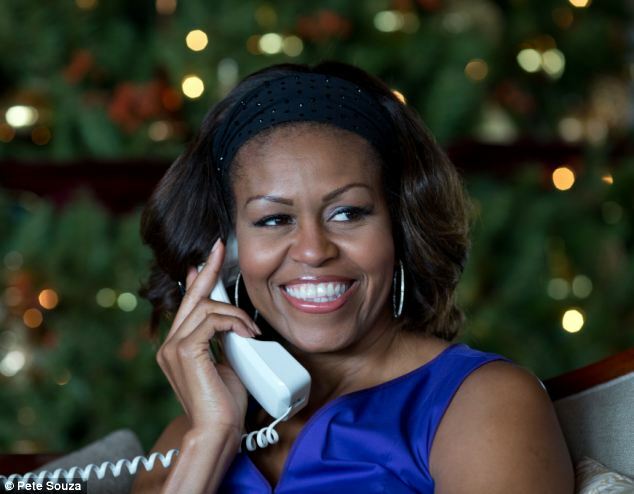 First lady Michelle Obama took 30 minutes out of her Christmas Eve Tuesday for her annual tradition of answering calls to NORAD’s program to track Father Christmas. According to a White House spokesman, Obama answered children’s calls to the Santa Claus tracker hotline from the first family’s vacation spot in Honolulu, Hawaii, starting at around 11am local time, according to CNN. 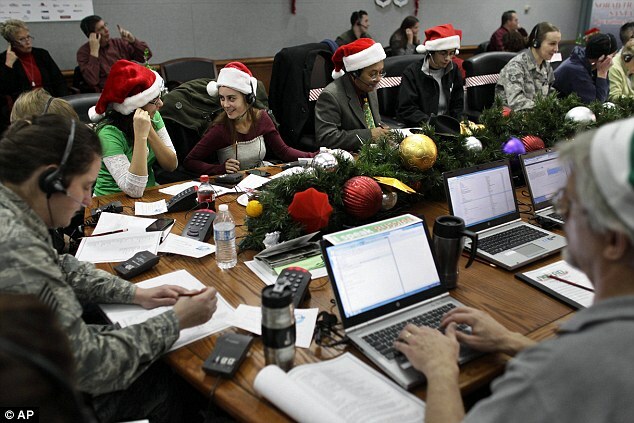 It marks the first lady’s fourth year participating in the U.S. Air Force tradition of tracking Santa. 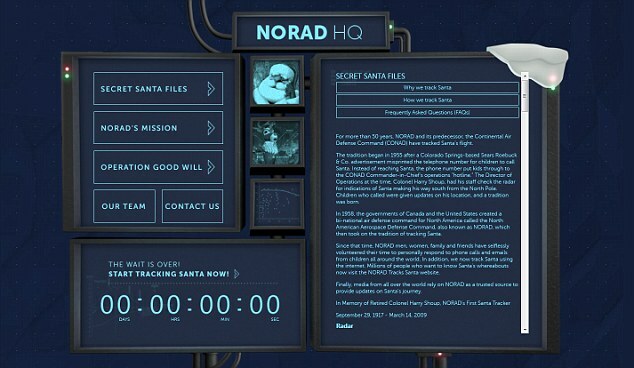 NORAD has tracked the sled’s annual faster-than-light journeys since 1958, helping parents answer question how Santa manages to circumnavigate the globe is just one night. 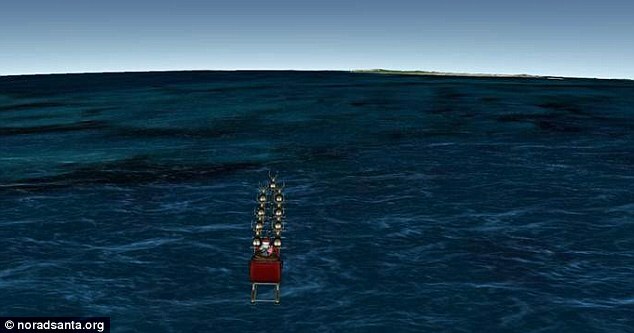 The Santa Tracker shows Santa – aka ‘The Big Red One’ – delivering an estimated 1.6billion presents on Christmas Eve. This requires him to visit 822 homes every second at a speed of 650 miles a second – three times the speed of sound. 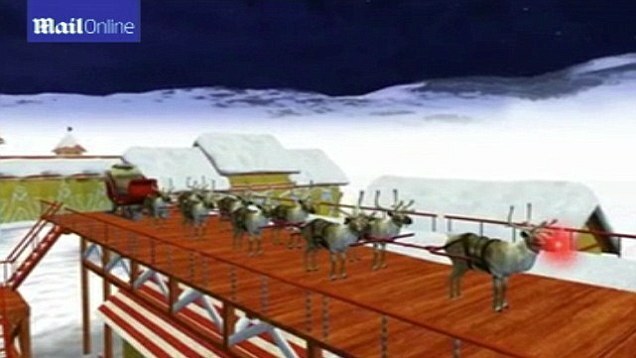 Norad’s Santa Tracker first came about by accident on Christmas Eve in 1955 when a local media advertisement listed a direct phone number for Santa – only the number was misprinted. 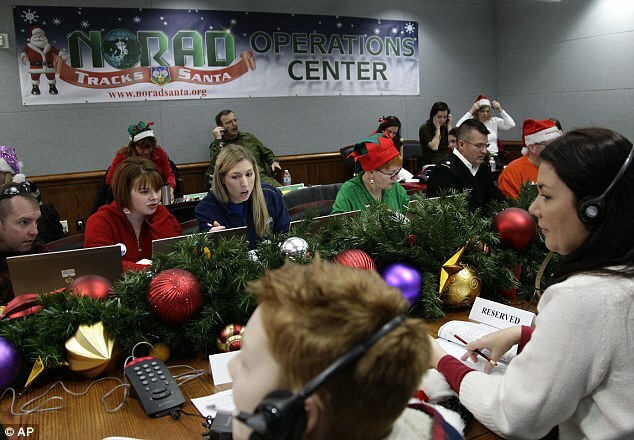 Instead of reaching Santa, the phone rang through to the Crew Commander on duty at the Continental Air Defense Command Operations Center. 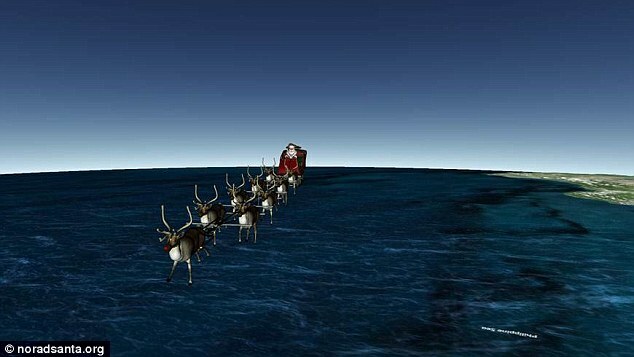 Rather than disappoint the children, Commander Harry Shoup instructed his staff to give all the children who called a ‘current location’ for Santa. This is how the tradition began and it continued when Norad replaced Conad in 1958. It has become increasingly advanced over the years, developing from a call-centre manned by volunteers to a visual tracker that can be viewed online. It is also on Facebook, Twitter and YouTube. According to Norad, it handles 12,000 e-mails and more than 70,000 telephone calls from more than two hundred countries. 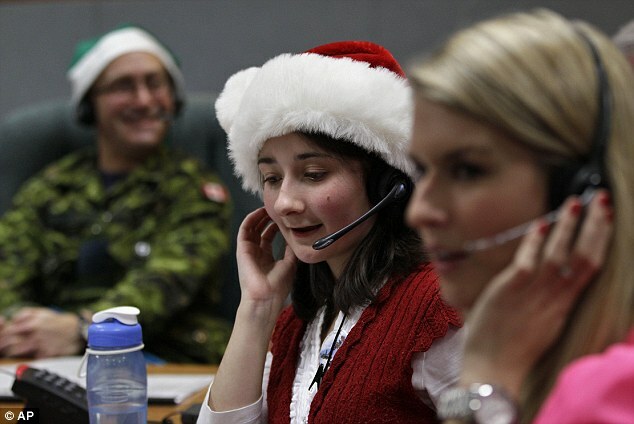 But last year, volunteers answered 114,000 phone calls from around the world. The website had 22.3 million unique visitors. 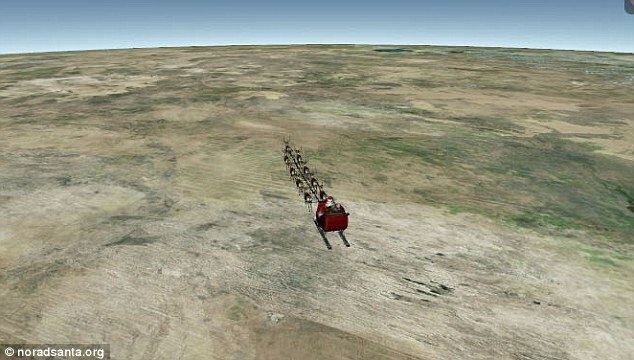 Norad Tracks Santa had 1.2 million followers on Facebook and 129,000 on Twitter. Then deputy commander of Norad, Lt. Gen. Marcel Duval, said in 2010: ‘It’s really ingrained in the NORAD psyche and culture. 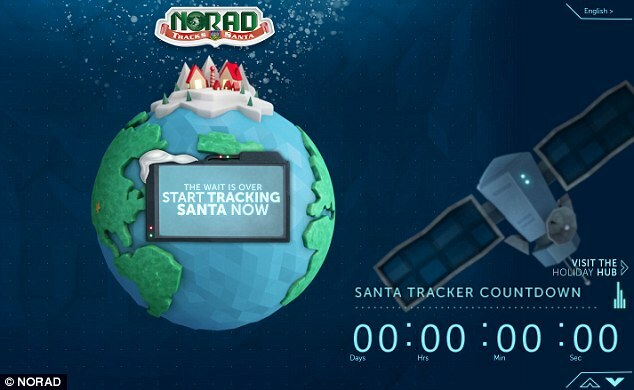 Norad has teamed up with Microsoft to redesign its Santa Track website for this year. The high-tech website comes with all the latest bells and whistles, including a 3D globe, a holiday countdown and interactive games. 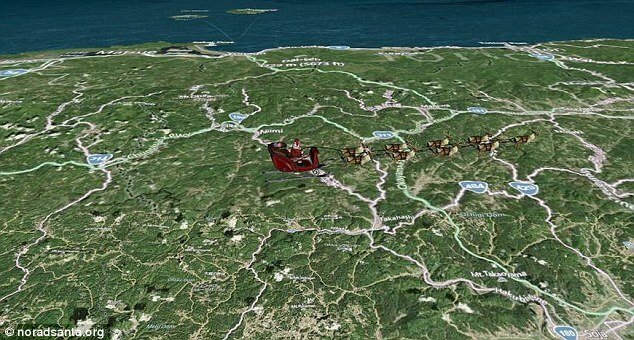 The redesign team has added a touch function to the site, allowing smartphone users to pinch and zoom in on Santa’s destinations, according to Microsoft.